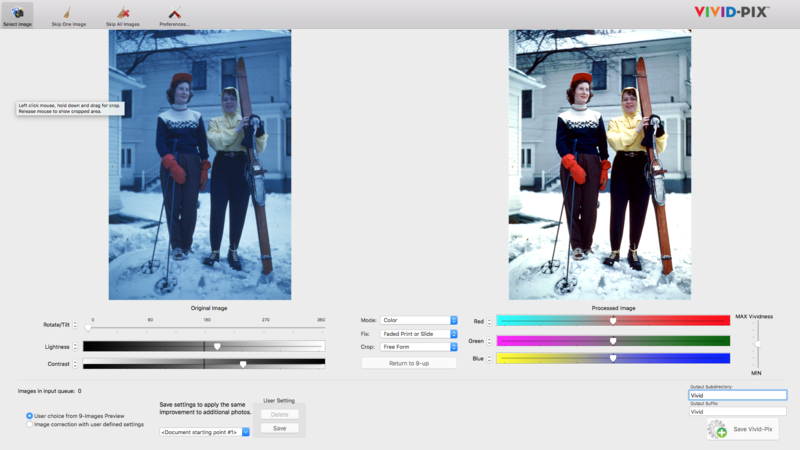 Selected as one of the most innovative new products for Genealogy and Family History, Vivid-Pix RESTORE provides Fast, Easy, and Affordable photo improvement. “We’re excited to join RootsTech and share how our software can improve family photo memories and historical documents,’” says Rick Voight, CEO, Vivid-Pix. Vivid-Pix, the inventor of easy-to-use image-improvement software, has expanded its portfolio with the release of Vivid-Pix RESTORE for Mac. The software, available for Mac and Windows, provides one-click improvement to scanned images from prints, slides, and documents and is now available for $49.99 from the Vivid-Pix website and from select resellers. Vivid-Pix RESTORE also improves digital camera and smartphone pictures. Due to light, heat, humidity and other conditions, the dyes in photo prints and slides fade over time - even those printed recently on modern equipment. Applying patented image science, Vivid-Pix RESTORE revives these fading images to their original look and many will even look better than the day they were taken! 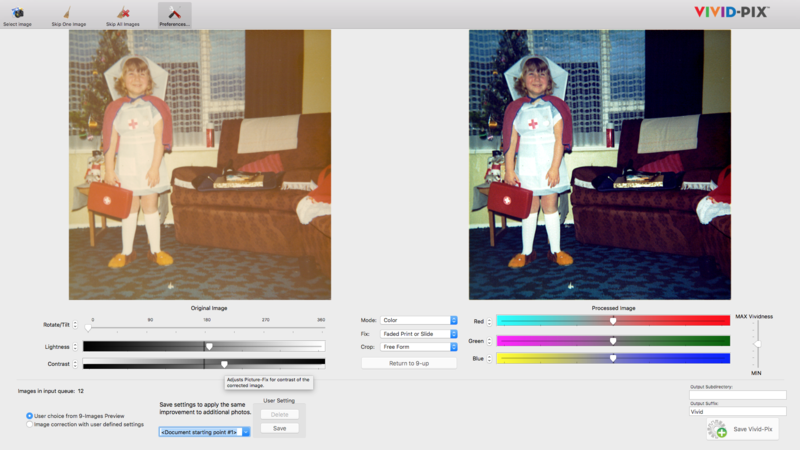 The user can also fine-tune images with easy-to-use sliders to relive cherished memories. 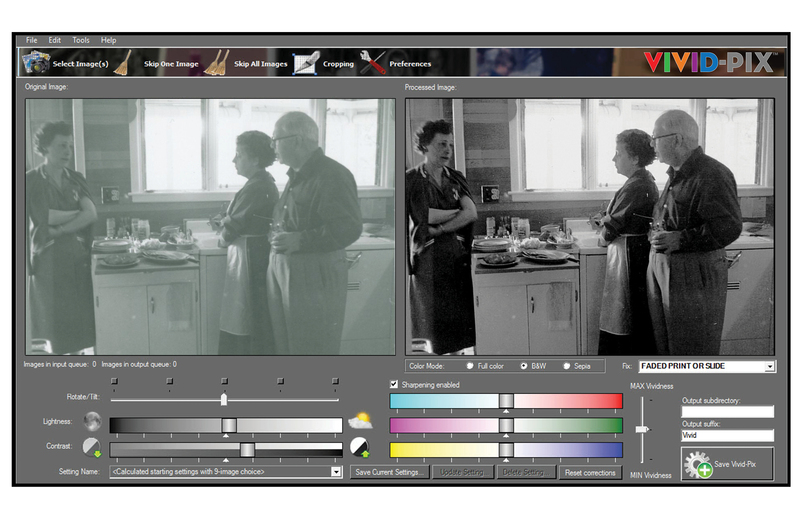 Vivid-Pix RESTORE software for Mac and for Windows will be available to view and to purchase at RootsTech, Feb. 28-March 3, in Salt Lake City, Utah. Vivid-Pix has partnered with Flip-Pal mobile scanner, Kindex, and Shotbox, to offer a comprehensive image-capture, improvement and sharing solution. Vivid-Pix will also be featured in the Innovation Alley section of the event. The entire Vivid-Pix portfolio of easy-to-use software will be shown at booth 108A and 1305. For more information about Vivid-Pix RESTORE, visit http://www.Vivid-Pix.com/restore.